The scene of a ‘little’ Grand Slam. Three of kind for an area. In the Seychelles we had an Inner Island Flats Slam – we replaced the GT with a Golden Trevally. And of course the Indian Ocean Grand Slam replaced the Tarpon with a GT and the Atlantic Permit with a Indo-Pacific Permit from the “orginal Grand Slam”. And then at Alphonse, Andrew Mayo guided Mat Ivanov into a “Golden Grand Slam“. Quite an achievement. 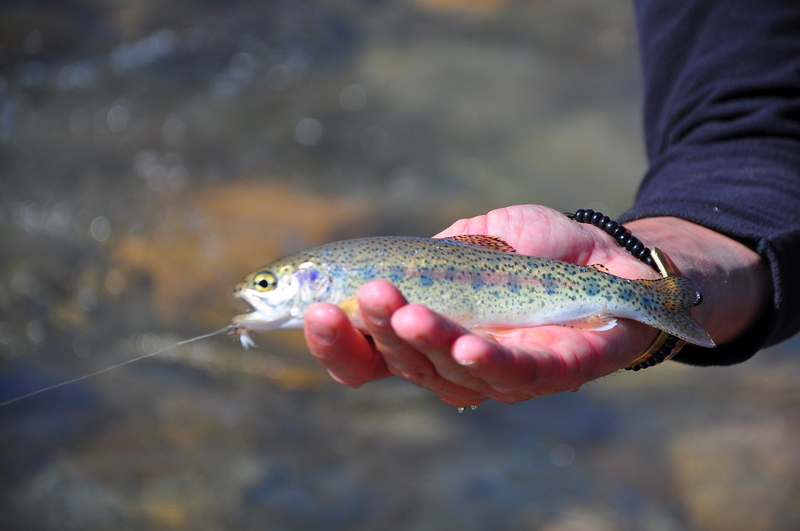 We all love trophies and what’s better than releasing a triple trophy of tough-to-catch fish. And everywhere fisherman have been making up slams to keep our egos puffed! Well I’m going to now claim a slam for myself! I didn’t even consider this until I saw an article on smallstreams.com recently. A small stream slam! 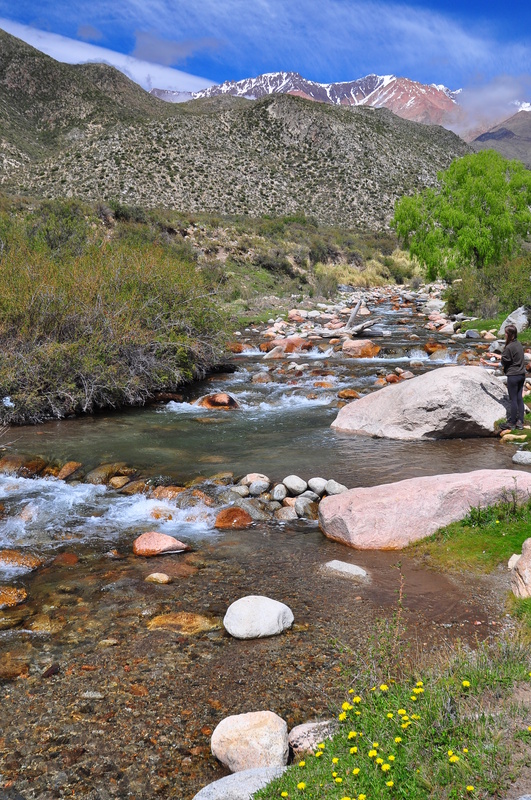 While exploring the winelands in the Mendoza area of Argentina, I sought out a beautiful small stream that I had been told about. Neither it nor the fish were large, but it was full of Brookies and Rainbows I was told. What a treat! 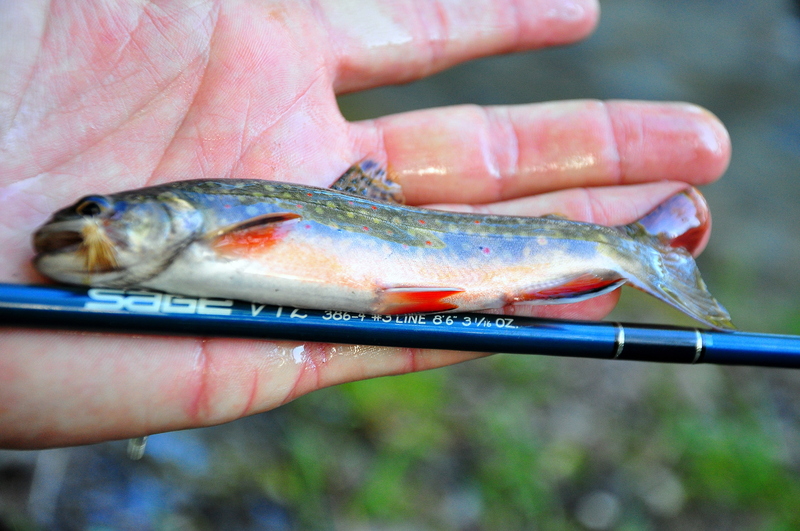 It would be first for me, catching a Brook Trout! And what stunning fish they are, strangely and exquisitely marked, there was no shortage of them in the Arroyo Grande. And the Rainbows come willingly too, as they do! But it was the landing of a brightly spotted Brown trout that delighted me that day. 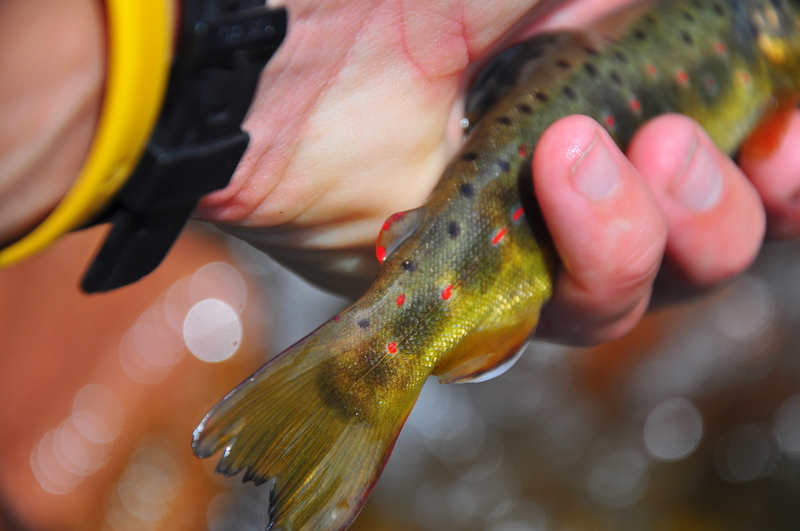 I love browns, they’re tougher to catch and always make me smile! Electric Orange markings like I have never seen elsewhere adorned this Brown! 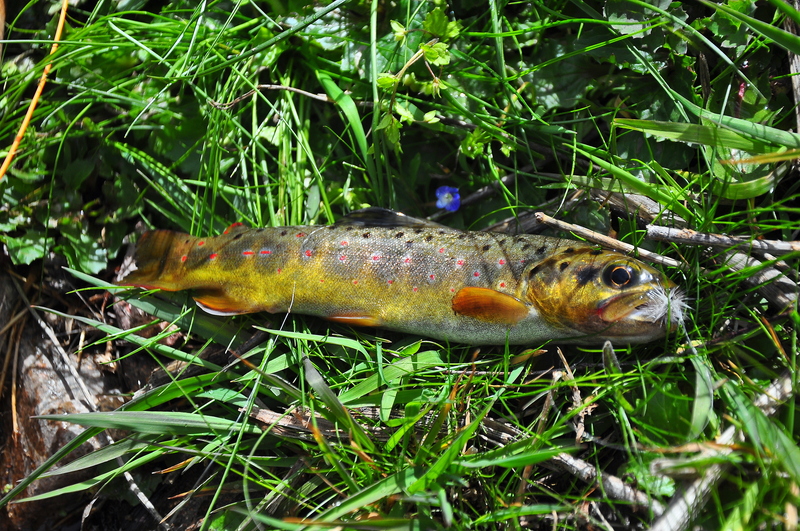 Anyway, I’ll claim that Small Stream Slam – a Brook Trout, Rainbow Trout and Brown Trout in the same stream on the same day! That’s something that doesn’t often happen! A small but healthy Rainbow! 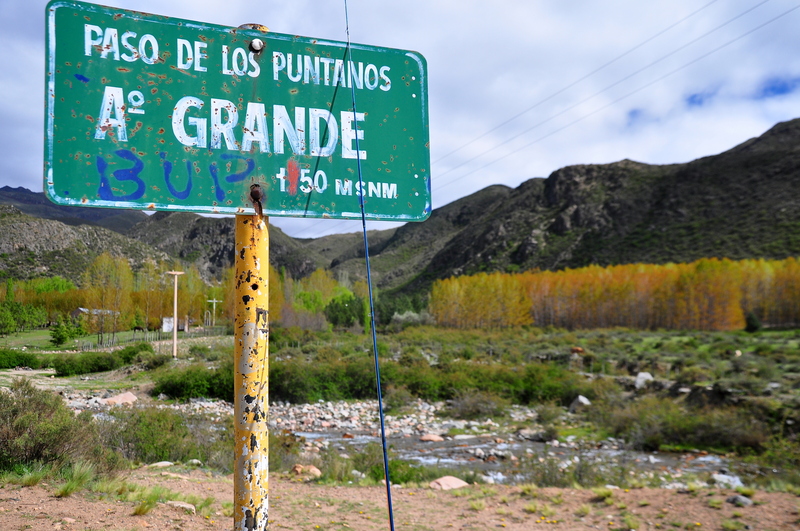 The magical Arryo Grande with the mighty Andes rising clear in the distance! gorgeous little stream and fish, very nice..
Come to CO, you can get a 4-species slam in Rocky Mtn National Park, with just a little luck. for the next week, any chance I can get some info from you on DIY fly fishing in the area?